We requested an early check-in due to changes in our flights and the hosts were extremely accommodating. The apartment is beautifully designed for maximum space, very comfy bed, perfect view of the harbor from the lanai, and, full and furnished kitchen/bathroom. I was surprised that everything was full size and yet we didn't feel cramped at all! Thank you again for being so accommodating and we will definitely stay here next time we're in town! Nice, new, modern and very clean apartment. Quite enjoyed this unit in the Ilikai. Excellent property with nearly silent air conditioning! Nice being able to use a key code to get into the room. The condo was accurately represented in photos. Clean, and included kitchen appliances and utensils. Walking distance to the beach. Nice being able to use a key code to get into the room. The room was absolutely amazing! We stayed here for only 3 days but wish we could've stayed longer. The check in process was very easy and smooth, the room was really nice and clean. The view of the Marina from this room was breathtaking! They have a lot of dishes/glasses so perfect for a nice stay-in dinner if you get tired of going out too! 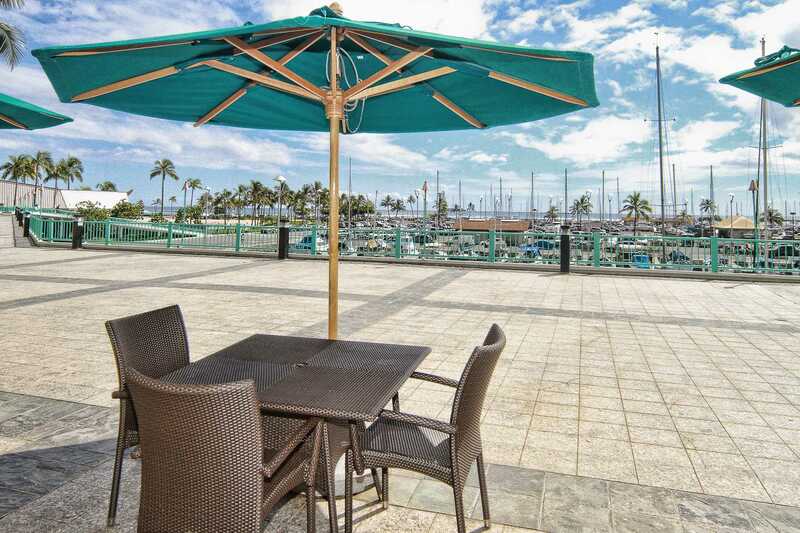 The location is great too, it's a bit far from Waikiki main area (approx 20min walk) but we wanted to be near alamoana shopping center so was perfect for us! Would definitely love to stay here again!! Great location, reasonable with great Ammenities. Bed was tad too firm for us even though we sleep on a firm but plush mattress.. other than that great place too stay and would patron it again. Hopefully by them maybe they'll have changed up the Matress to something a bit more comfortable! Some Guests prefer firm mattresses, others do not. 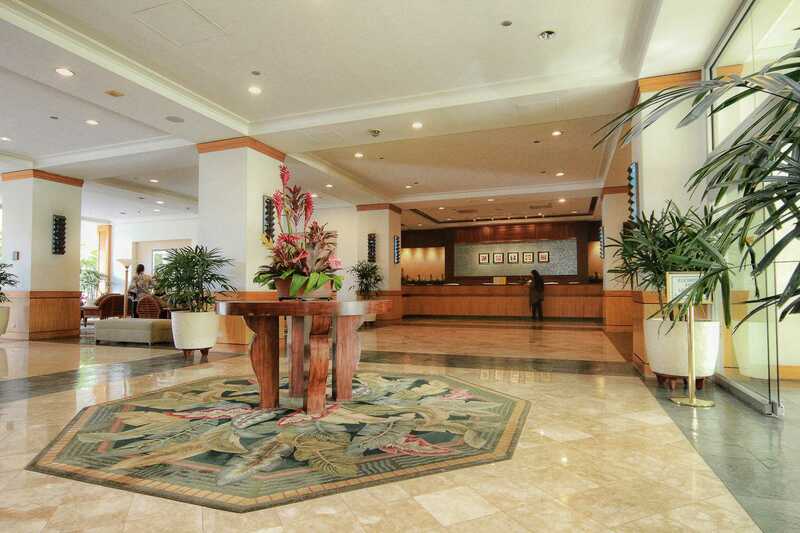 Great place to stay in Waikiki beach close to everything and 10 minutes walk from Ala Moana and Royal Hawaiian Avenue. Tours and buses depart right outside of The Ilikai hotel. This condo had a great view of the marina and only metres walk to the beach and many restaurants. Was a great place to call home on our honeymoon, and a great price! Fireworks at the Hilton on a Friday night is must do and located right next door to the Ilikai. 1. Beautiful space, beautiful view, comfy bed/couch and fancy toilet! 2. Wonderful location right on the lagoon/beach, private pool. 3. 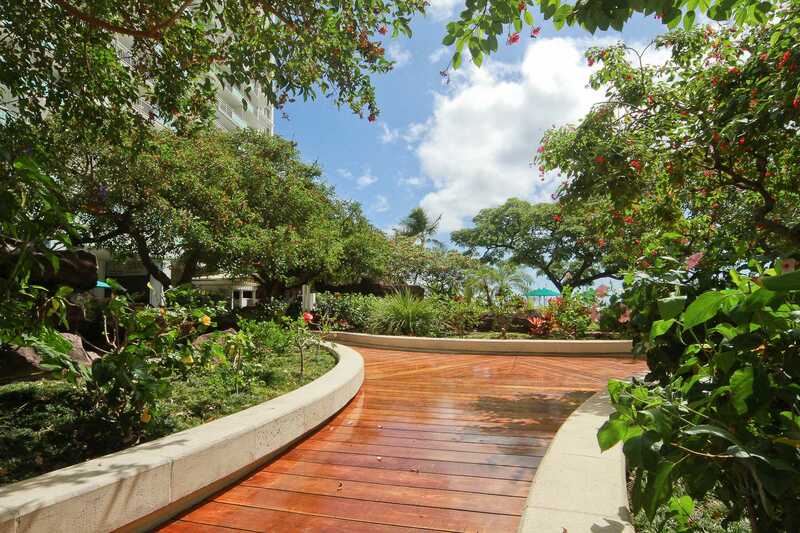 10- 15 minute stroll on the ocean promenade to all of the hot spots in Waikiki. 4. Delicious restaurant downstairs, world renowned for their breakfast. 5. (Wish we had made use of this) you can leave your luggage in hotel lobby. 6. We tried to watch fireworks from our balcony, you cant actually see them from there so be sure to walk down to the beach for the Friday night show. 7. All in all, great stay. Wish we had stayed there longer! It was the best part of our trip to Hawaii. Very nice. At the end of the popular drag of sandy Waikiki. Enjoyed the nearby shops very much. Everything is labeled with little sticker labels to make it easy to work everything:) parking is 28 dollars a day but it's 20-30 nearby so this right on the spot! I like that they laundry facilities downstairs. That was helpful for sandy shorts. Lovely updated condo. Toilet flapper didn't work and we had to call two different days before resolved, could have used two more lanai chairs and a bigger table. No shelf space for small clothing items. Need a pitcher to make cold beverages and more resealable containers to store left overs. Location perfect. The Honolulu Marathon brings us to HI each Dec and this was our second stay in 804. We really like this renovated unit with a dishwasher and a very good A/C. We like modern and uncluttered rentals which makes 804 a good choice for us. We've gotten creative with our unpacking as there are no actual drawers, but shelves and closet space. We also stay in a unit on the lagoon side which has very nice views and a large lanai dining table. We would recommend more adequate lanai furniture as dining outside is wonderful - birthday present on our first might was a portable table from Walmart :) We recommend HVP and this unit and will continue to rent annually from them. Fantastic apartment footer couples. Fill kitchen amenities. Fantastic sunset view overlooking marina. Walkable to beach, lagoon, shops and restaurants. I would recommend for any guests. 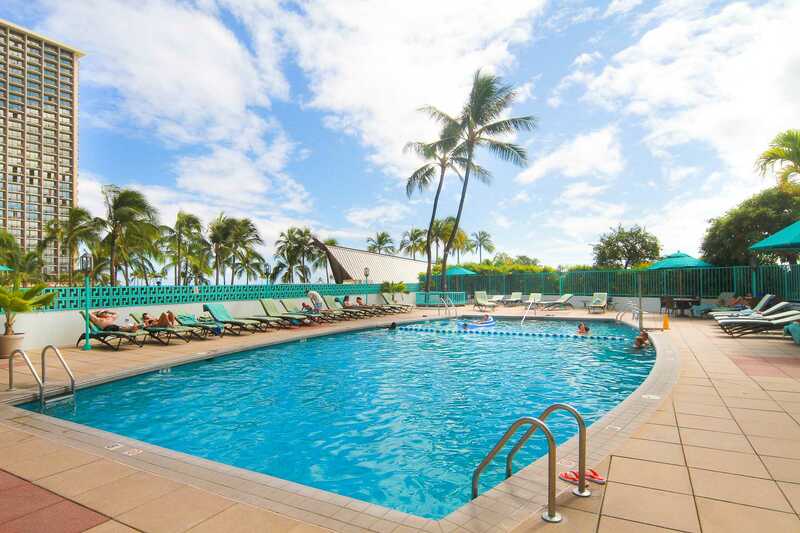 I have ventured to Honolulu quite a few times and have stayed at the Ilikai the last four trips and always stay in an apartment. This trip I booked Condo #804. The photo's and supporting information were so fantastic I didn't hesitate and booked immediately. I arrived and my friend and I were not disappointed. Newly renovated. All the modern appliances. Extremely comfortable bed. Spectacular views. The owner supplies all the necessary equipment for the beach - towels, beach chairs, beach umbrellas, beach bag and a cooler bag. Impressive. Overall - perfection, and a unit I will be staying at for future visits. Thank you to the owner - Well done. regards, Margaret - Sydney Australia. We stayed in Apartment 804 and was extremely impressed with the comfort, spaciousness, layout and cleanliness of this apartment. Made a perfect base for our sons wedding and holiday. It appeared exactly as the photos online. Loved the ease of check in/keyless entry. At the quieter end of Waikiki but a good stroll there and buses out front. Wouldn't hesitate to stay here again. 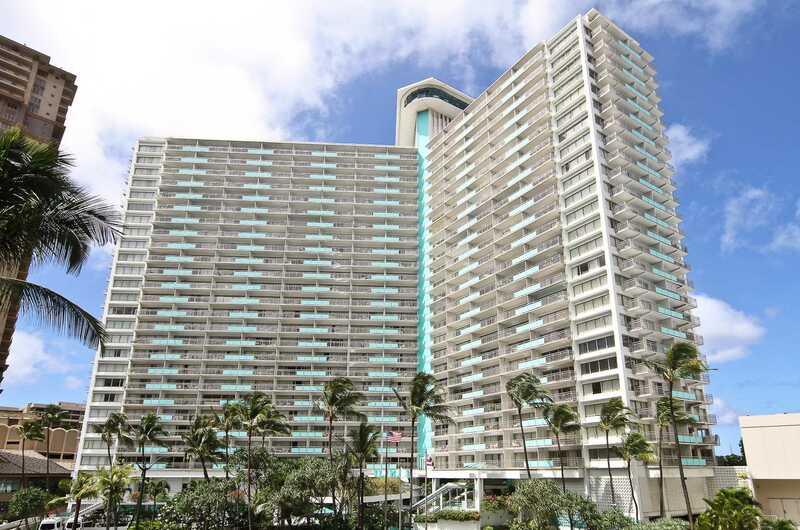 Great location, at the end of Waikiki, close to restaurants, family friendly! Will definitely love to come back!! The condo was perfect for what I needed. Good size oven with plenty of space to cook all meals. Was able to spread out with the balcony and couch. This condo was perfect for our weekend stay in Waikiki and had just what we needed including full size fridge, microwave, coffee maker, dishwasher. The a/c is nice, cool, and quiet! The location is perfect to access the surf at Kaiser's, Rockpiles, Bowls and the Bathers Elevator can fit a 9'6" longboard. The unit has beach chairs and a cooler to pack your stuff and go down to the beach. Easy access to the Hilton Hawaiian Village next door to enjoy Friday night fireworks, and like we did, went to the BBQ and Blues Festival. The unit is a little bigger than it appears in the photos. Awesome stay. Easy and seamless. Good location and even has one of those sweet electronic Japanese toilets!! ?? Fantastic location and a magnificent view/ sunset. The apartment was bigger than the photos make out and super clean. This is the best I have stayed in and we will definitely be back. There is also some beach chairs and a cooler to use which was great to take to the lagoon and relax the day away. Overall would highly recommend this location! This was a beautiful room! Love how comfortable everything was! The bed and couch! It felt very homey. My favorite part was laying in bed watching the marina and ocean! So relaxing!! We return to the Ilikai every March which shows that we adore this respectable building and it's handy location. 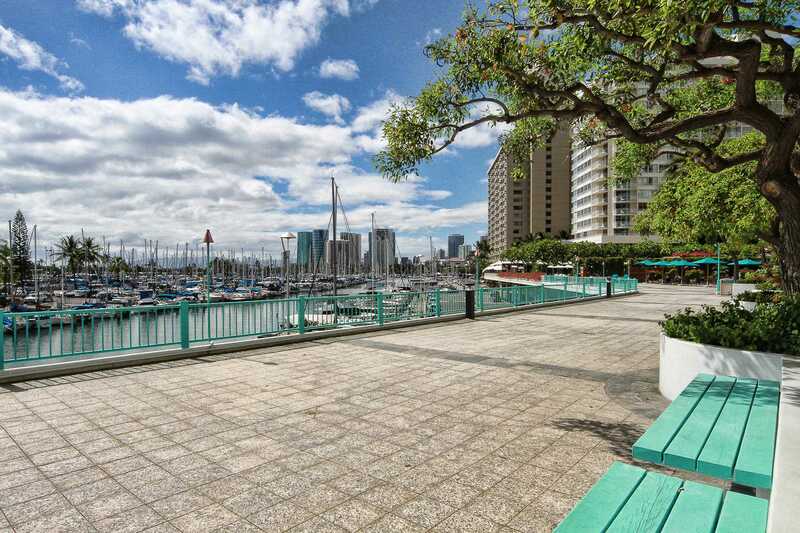 The unobstructed view of the harbour, Magic Island and the vast ocean are breath taking. The management team that oversees this unit provided us with worry free booking as we received many emails from them; as well, we appreciate not having to exchange keys as this condo has a keyless system which makes checking in and out effortless. 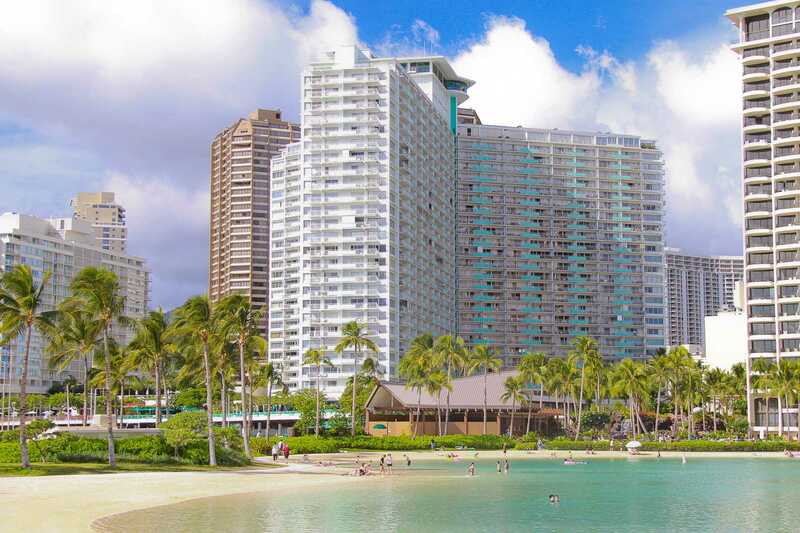 Whether you want to enjoy the many activities on Waikiki beach, shop at the Ala Moana shopping centre, stroll thru the harbour, watch the Friday night fireworks from the Hilton, or visit a variety of restaurants, they are all a short stroll away. Although we found our suite clean and well equipped, it would have been nice to have night tables with drawer space which we found was lacking, nicer lanai furniture, and it's time to replace the flat pillows and uncomfortable bed. A really nice touch was walking into the bright, air conditioned suite with the Hawaiian music playing in the background. We are glad you had a great stay! Thanks for letting us know about the pillows. We have changed them again. The entire bed was brand new in 2016. Nice location, Great View. Great to work with. Would definetly recommend to anyone looking for a place to stay. The apartment was modern , had everything we would need and in a very convent location. The apartment was exactly as described and met all our expectations. The self check in was simple and carefree. If you are looking for something that isn't in the hustle and bustle of Waikiki, this apartment is for you. Waikiki beachfront and retail shops are just a short ,pleasant walk away or if you don't won't to walk the trolley (bus) service is right out front , enjoy a bus ride and take in all that is around you. You'll also find everything you need at your doorstep. The apartment itself has everything you could need to make you feel right at home. When we arrived the lovely host had already turned the a/c on to cool our apartment. We would highly recommend this apartment and would rebook it again on our return to Hawaii. 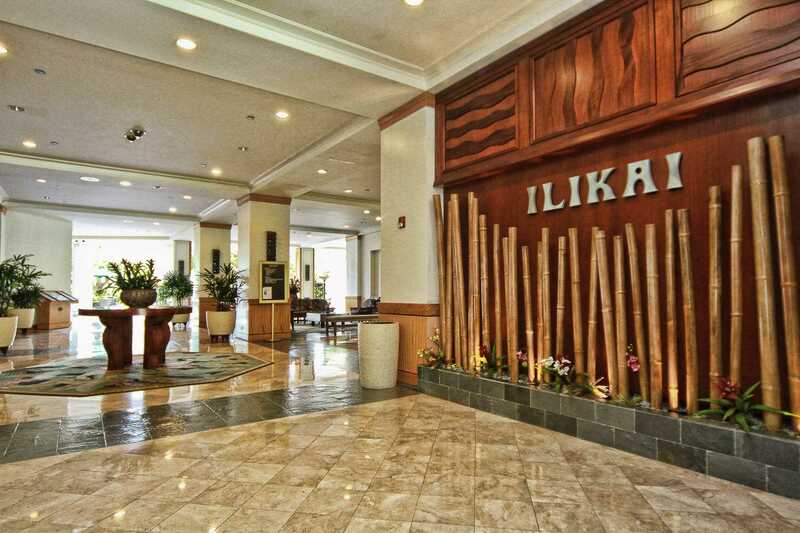 This was one of our favorite units at the Ilikai and we've stayed in several. It is very open and light and has a modern feel. Kitchen and bathroom are very nice as is wood flooring. A couple minor maintenance issues were resolved very quickly which we appreciated. Our stay on Oahu is several weeks so it would have been even more perfect with drawers to unpack a bit. Beautiful views from the lanai, bigger table would be great to enjoy an outside meal. We'll be back! Everything about this condo was perfect! It was very comfortable and exactly what we wanted....the view each day was amazing as well. We bought groceries from Walmart and cooked most days or packed lunches. The condo has pretty much everything you need to cook or bake. The restaurant at the hotel had really good food too. The condo is centrally located therefore a car was not required. The tours we booked provided transportation, or we used the bus and Uber. We walked a lot but that was by choice. I don't recommend booking tours through the concierge, it's a rip off. You can book your own excursions from the booklets you find on every corner. The hotel was extremely safe and clean. The self check in/check out of the condo was extremely easy. I'll definitely book this condo again in the future as I highly recommend it to everyone! This condo is very new and well appointed. A beautiful kitchen. The view is excellent, straight out to sea. We usually prefer a higher floor but the eight floor was great. The only thing we would ask for would be a bench in the bathroom rather than just a pedestal basin but this is a minor thing. On the wish list would be Netflix but again a minor issue. We loved staying in this apartment and won't hesitate to rebook it next visit. My husband and I had a fantastic stay. The suite was exactly how it looked like in the photos. Everything was newly renovated and super clean. The location was perfect as it's closer to everything that we needed. It was super easy to check-in and out. Overall, we were very impressed! The only minor suggestion I had was to create more counter space in the washroom as it made it very difficult to get ready in the morning and potential installing a safe in the suite. Overall, we had a great time and would definitely stay here again! Aloha ! Loved staying here. Very nice and clean with a million $ view. Walking distance to everything. Would not hesitate to stay here again . . . Loved staying at Ilikai 804. Stayed for surgery recovery and room and amenities were excellent. Having a full kitchen was very helpful. The bed was comfortable and the keyless entry made coming and going very easy. The easy walk to Ala Moana was also helpful and convenient. The room is newly updated and comfortable. One suggestion would be to add some sort of shelf in the bathroom so toiletries could be stored more easily. 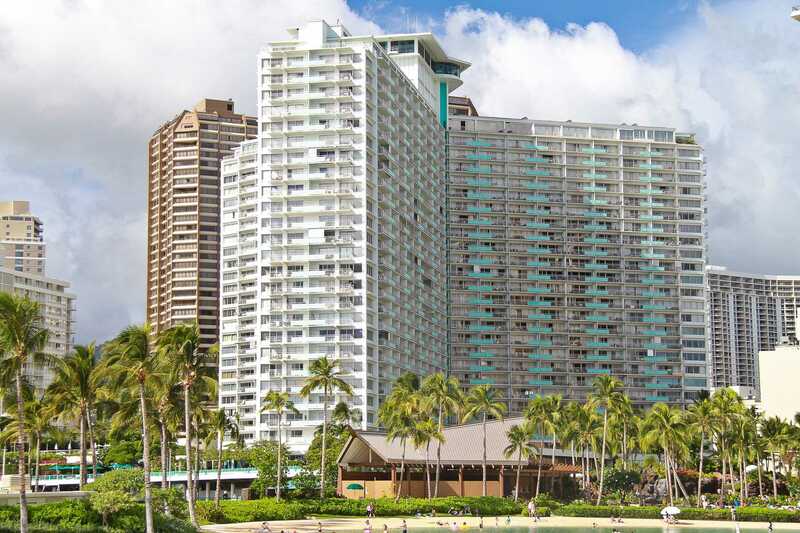 We enjoyed our 8 night stay at this property located in the Ilikai tower. The 8th floor room was spacious and clean, and company representative Duke was friendly and gave great recommendations. (Thanks Duke!!) The whole space was recently remodeled and beautifully decorated. Great view of the marina and Ala Moana. A/C works well and keeps the western facing room cool. Lots of good amenities in the kitchen and living area. Pictures reflect room accurately. Extra large bed was comfortable, and the linens were clean and fresh. Nice big TV. Parking is frustrating because the Ilikai charges $28 a day! We daily had to search for a spot on Hobron Street and walk to room. Our stay would have been better if we had a washer/dryer in unit, and parking included in room.